The Roman poet Virgil said, "The greatest wealth is health." Advice on how to stay healthy can be confusing and may change from week to week, with certain foods or activities being frowned upon one week and then embraced the next. The basic practices for good health have remained constant over the years, however, and all are things you can incorporate into your everyday life. Diet has a direct effect on health. The proper diet can help control or eliminate high blood pressure, diabetes and heart disease. The American Heart Association recommends people strive to eat a variety of nutrient-dense foods such as whole grains, low-fat dairy, and fruits and vegetables, while eating less of sugars and fats. Drink alcohol in moderation—no more than two drinks a day for a man or one drink for a woman. Dr. Mark Liponis, writing in Parade magazine, reported that not getting enough sleep has been linked to heart attacks, high blood pressure and other serious health problems. The National Heart, Lung and Blood Institute recommends that adults get eight to eight and a half hours of sleep each night for optimum health. The U.S. Department of Health and Human Services recommends adults ages 18 to 64 perform at least 2 hours and 30 minutes of moderately intense aerobic activity or one hour and 15 minutes of vigorously intense aerobic activity each week. Boosting this amount of activity reaps even more health benefits. The department also recommends adults do muscle-strengthening activities two days a week. Buckle up whenever you're in a motor vehicle. 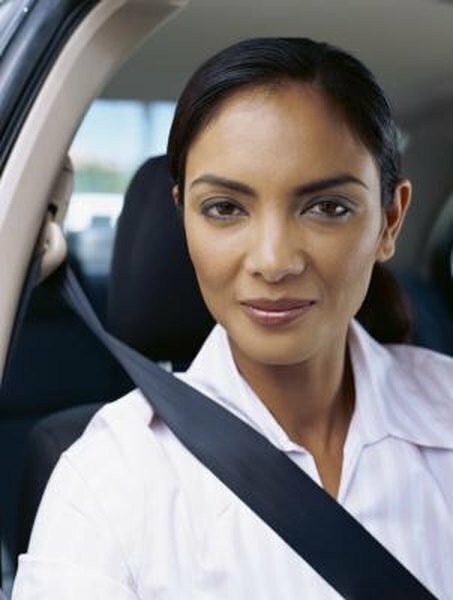 The National Highway Transportation Safety Administration estimates seat belt use saved 75,000 lives between 2004 and 2008. If you ride a motorcycle or bicycle, wear a helmet. The NHTSA reports that helmets saved the lives of 1,829 motorcyclists in 2008. Wear a helmet when you skate, ride an ATV, ski or snowboard, too. Sun exposure can cause cancer and premature aging. The American Cancer Society recommends adults and children use a sunscreen of SPF 15 or higher and avoid being out in the sun between 10 a.m. and 4 p.m., when the sun's rays are most intense. Wear long sleeves, a wide brimmed hat and wrap-around sunglasses for the most protection. The Centers for Disease Control and Prevention links smoking with one in five deaths each year in the United States. Smoking is responsible for most lung cancer deaths and greatly increases your risk of coronary heart disease and stroke. If you do smoke, smoking cessation can reap immediate and long-term benefits. The U.S. Department of Health and Human Services links stress with heart disease, high blood pressure, depression, anxiety, acne and other health problems. Learning to control your stress can help you feel better every day and decrease your chances of long-term health problems. Meditation, relaxation and exercise are ways to manage stress. Friends and family ties can improve both mental and physical health. The Washington State Department of Social and Health Services reports that people with strong social and/or family ties live longer, have strong immune systems and suffer less mental decline as they age. Brushing after meals and flossing daily are simply ways to keep your teeth, and yourself healthy. In 2000, the U.S. Surgeon General issued a report linking poor oral health to problems such as diabetes, stroke, premature births and heart disease.